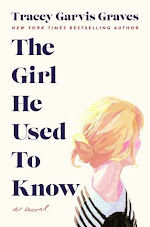 *I got this ARC through a book swap with blog reader Viven. Thanks for contacting me, Viven! I am obsessed with Hemingway and can't wait to read this one! Goodreads says, "No twentieth-century American writer has captured the popular imagination as much as Ernest Heminway. This novel tells his story from a unique point of view — that of his first wife, Hadley. Through her eyes and voice, we experience Paris of the Lost Generation and meet fascinating characters such as Scott and Zelda Fitzgerald, Gertrude Stein, Ezra Pound, and Gerald and Sara Murphy. The city and its inhabitants provide a vivid backdrop to this engrossing and wrenching story of love and betrayal that is made all the more poignant knowing that, in the end, Hemingway would write of his first wife, "I wish I had died before I loved anyone but her." *I received this ARC through Shelf Awareness. I love a historical thriller! Goodreads says, "It is the year of the Great Conjunction, when the two most powerful planets, Jupiter and Saturn, align—an astrologi cal phenomenon that occurs once every thousand years and heralds the death of one age and the dawn of another. The streets of London are abuzz with predictions of horrific events to come, possibly even the death of Queen Elizabeth. When several of the queen’s maids of honor are found dead, rumors of black magic abound. Elizabeth calls upon her personal astrologer, John Dee, and Giordano Bruno to solve the crimes. While Dee turns to a mysterious medium claiming knowledge of the murders, Bruno fears that some thing far more sinister is at work. But even as the climate of fear at the palace intensifies, the queen refuses to believe that the killer could be someone within her own court. Bruno must play a dangerous game: can he allow the plot to progress far enough to give the queen the proof she needs without putting her, England, or his own life in danger?" *I won this one through Princess Bookie's contest. I really enjoyed Coffeehouse Angel, so I am looking forward to this read. Goodreads says, "When you're the daughter of the bestselling Queen of Romance, life should be pretty good. But 16-year-old Alice Amorous has been living a lie ever since her mother was secretly hospitalized for mental illness. After putting on a brave front for months, time is running out. The next book is overdue, and the Queen can't write it. Alice needs a story for her mother—and she needs one fast. That's when she meets Errol, a strange boy who claims to be Cupid, who insists that Alice write about the greatest love story in history: his tragic relationship with Psyche. As Alice begins to hear Errol's voice in her head and see things she can't explain, she must face the truth—that she's either inherited her mother's madness, or Errol is for real." *When I saw this one at Barnes and Noble on display weeks before the publishing date (tisk, tisk), I grabbed it immediately. I'm glad I did, because I really enjoyed this book. Read my review here. Goodreads says, "Thanks to modern science, every human being has become a ticking genetic time bomb—males only live to age twenty-five, and females only live to age twenty. In this bleak landscape, young girls are kidnapped and forced into polygamous marriages to keep the population from dying out. When sixteen-year-old Rhine Ellery is taken by the Gatherers to become a bride, she enters a world of wealth and privilege. Despite her husband Linden's genuine love for her, and a tenuous trust among her sister wives, Rhine has one purpose: to escape—to find her twin brother and go home. But Rhine has more to contend with than losing her freedom. Linden's eccentric father is bent on finding an antidote to the genetic virus that is getting closer to taking his son, even if it means collecting corpses in order to test his experiments. With the help of Gabriel, a servant Rhine is growing dangerously attracted to, Rhine attempts to break free, in the limted time she has left." What did you get in your mailbox? Have you read any of these books? Let me know what you think. This meme is hosted by The Story Siren. 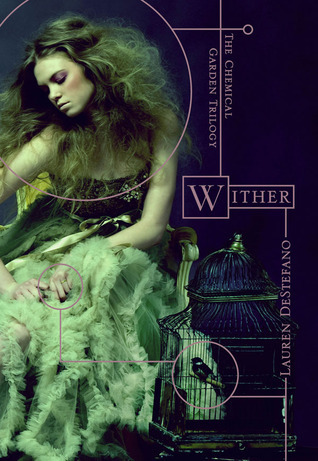 Like I just said on your review, I read and loved Wither so I had to pre-order a copy! I have Mad Love on my TBR list as well! I am so jealous of everyone that got Wither early! Of course my B&N didn't have the display out early. I loved it so much! I also want to read Mad Love too! I'd love to read "Wither"! It just seems so good. 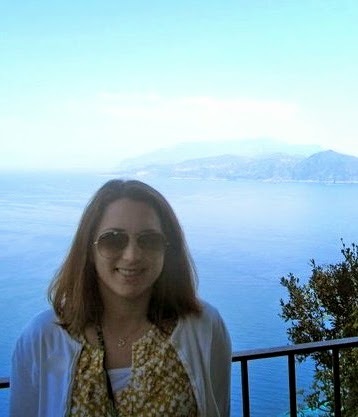 The Paris Wife looks amazing--I love me some Hemingway as well. Great books this week. Mad Love sounds good. Lovely books this week! I haven't read any of these, but I've heard great things about them. Don't you love when they put books out early? It doesn't happen very often by me, but when it does I feel all sneaky, like I got away with something:) Glad to see you enjoyed Wither, I couldn't put it down! Oh, Prohecy looks great, I am waiting for Wither myself. Happy reading! 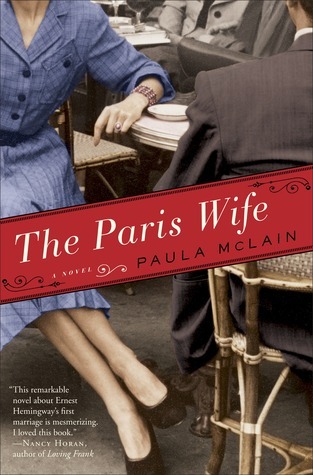 I want to read The Paris Wife! It sounds really good. Can't wait to see what you think! Oh wow, I didn't even know about Selfors new book -- thanks for the heads up! Hi! New follower! Great mailbox! Mad Love sound really good. Enjoy! Great books! !, I'm interested in reading The Paris Wife :D Happy reading! can't wait to hear what you think of the paris wife. 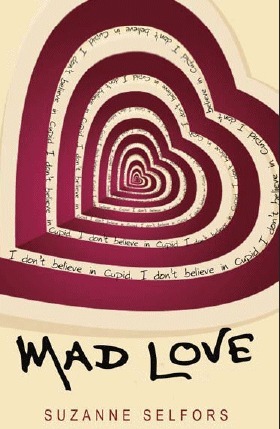 i loved mad love!! Wither was amazing, wasn't it. I just finished yesterday and I have to let it digest a little before I write my review! The Prophecy looks interesting! I may have to track that one down when it comes out!